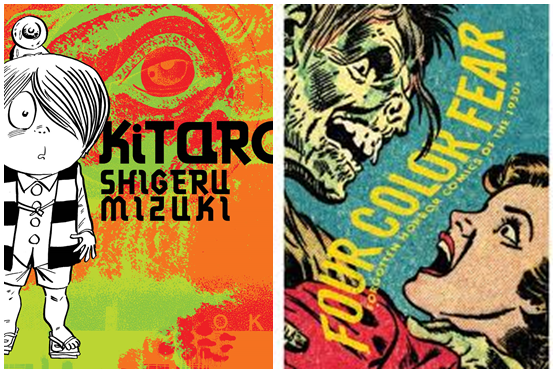 When you think of influences on Japanese comic book legend Mizuki Shigeru, names like Basil Wolverton, Bob Powell, and Warren Kremmer don’t usually spring to mind. After all, those artists drew for 1950s American horror comics like Tomb of Terror and Crypt of Horror. They hardly seem like source material for a young man thousands of miles across the ocean. Where would he find them? And if he did find them, how could he read them? But the influence is obvious. Mizuki Shigeru’s early work has the same shadowy gloom, the same lines and dramatic poses. This is especially true in Mizuki’s comic Hakuba Kitaro (Graveyard Kitaro), his darker, more horrific version of his famous character Kitaro before it was lightened and made more child-friendly at the publisher’s request. The opening story in Hakuba Kitaro—called Kitaro no Tanjobi or Kitaro’s Birthday—in particular looks and feels like a 1950s EC comic. 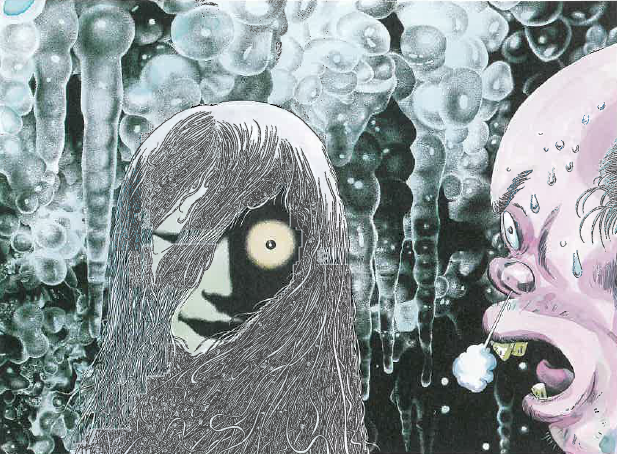 If it weren’t for the Japanese lettering and some of the faces, Kitaro no Tanjobi could easily have risen from Tales from the Crypt or Vault of Horrors. 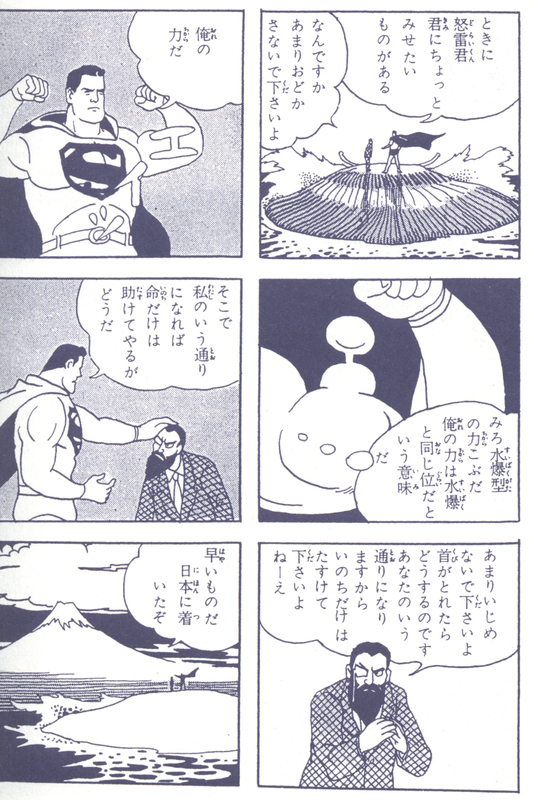 In his historical/auto-biographical comic Showa: A History of Japan Mizuki describes how American comics came into his hands. In the post-war period, Mizuki’s father had a position working with the occupation government. Mizuki’s father spoke English and even worked as an English teacher, which made him a valuable bridge between the occupiers and the native Japanese. Mizuki’s father knew his son was struggling, trying to break into the fledgling kashihon rental-comic market after his former kamishibai (paper theater) business had vanished. He brought home the various comic books left behind by American GIs and civilians working in the occupational government, and gave them to his son to use as reference material and inspiration for his own comics. It is pretty obvious which American comic inspired Mizuki’s first hit with the kashihon rental-comic market. Although he called his version Rocketman, Mizuki made no attempt to disguise the character’s origin, and didn’t even bother to alter the famous “S”-shield on the chest into an “R”—which would have been more appropriate for “Rocketman.” Mizuki may have taken the look of Superman directly from the comic, but he told it with his own sense of whimsy and style. It almost looks like he is imitating the Fleisher Brothers’ Popeye cartoons instead of Superman, as Rocketman flexes a muscle in the shape of an atomic bomb’s mushroom cloud to show off just how mighty he is. So the influence was always there. But it wasn’t until the publication of Fantagraphics’ Four Color Fear: Forgotten Horror Comics of the 1950s that it became clear just how much of an influence there was. (Or at least until a copy of that book found its way into the hands of Natsume Fusanosuke who wrote the initial blog that inspired this post. In the time-honored tradition of comic artists, it looks like Mizuki Shigeru may have had his own “swipe file” of poses and characters that came straight from American comic book artists. These first images come from the 1959 kashihon comic Yokaiden by Mizuki Shigeru. There can be no mistake that Mizuki took several of the poses and faces directly from Warren Kremmer’s 1953 comic Amnesia. The poses are identical, even though they are being used for different story elements. The biggest surprise—and “Ah ha!” moment—comes when looking at Kitaro’s father. 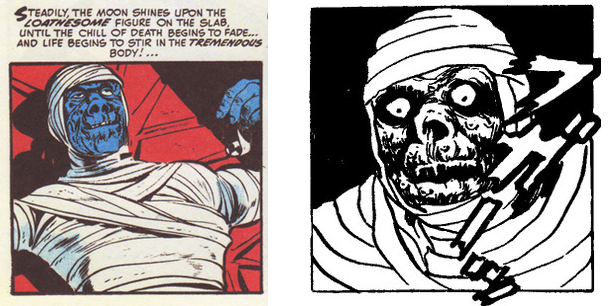 The mummy in these pictures is Kitaro’s father, before he liquefies and renders into the famous version of Medama Oyaji that we all know and love. I always thought this was a weird design for Mizuki. 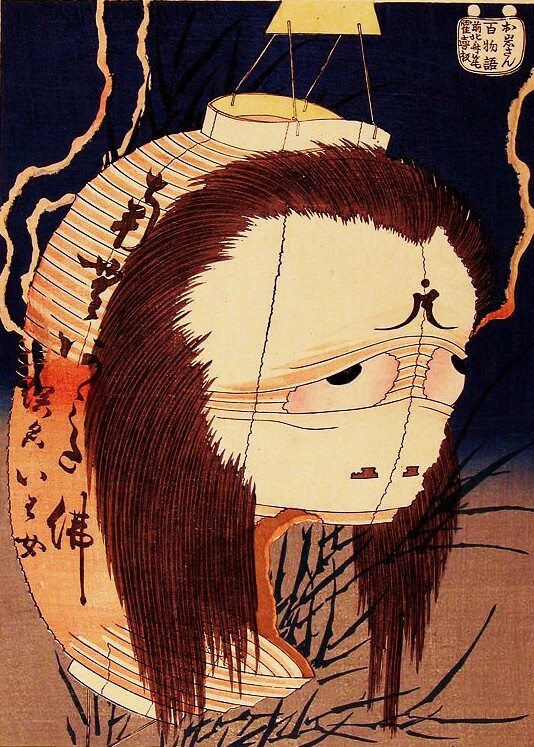 Mummies aren’t exactly prominent in Japanese folklore and horror, and it never really made sense that Mizuki would chose a shambling mummy to represent the last of the Yurei Zoku, the Ghost Tribe, that once ruled over the earth. But here, in Bob Powell’s 1951 comic Servants of the Tomb we see the origin and inspiration of Kitaro’s father. 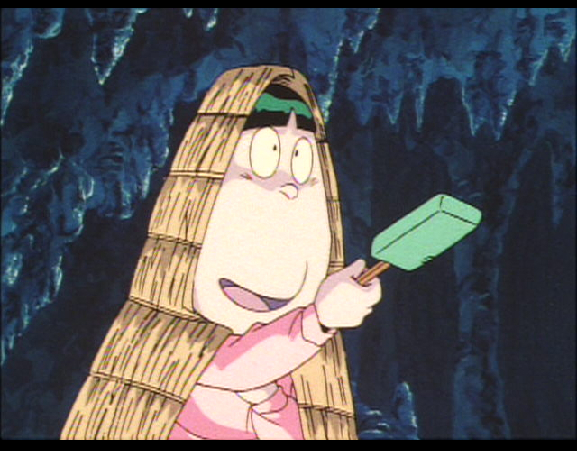 This one isn’t a direct swipe like the others, but it is obvious that Mizuki Shigeru saw this comic and thought enough of the monster to use it for the brief appearance of Kitaro’s father as a whole creature. Finally, the design makes sense. Bob Powell and Warren Kremmer are in good company. Mizuki Shigeru also collects early European prints by artists like Albrecht Dürer, and uses them for inspiration. I have seen several posts by Mizuki where he shows the original, and his version next to it. He also copies the work of Japanese masters like Toriyama Sekein and Katsushika Hokusai for his Yokai Encyclopedias and print series, and uses famous photographs and historical works of art to ground his series like Showa: A History of Japan. 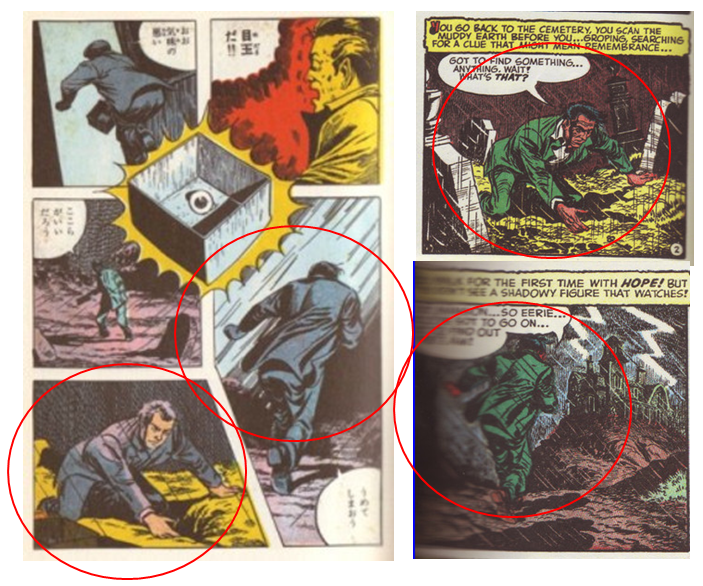 As Natsume mentions in his article, there are probably more of these swipes from early comics to be discovered by someone with the patience and means to find them. Natsume further speculates that, if American GIs carried American comics with them to Japan and inspired a young Mizuki Shigeru, perhaps they brought them to Europe and influenced a certain young man who would come to be known as the artist Moebius. Who knows? But American comic art traveled far, and the American GIs served as unknowing Johnny Appleseeds, leaving behind their discarded bits of Americana and pop culture that got absorbed and assimilated into something else, something that has become a foundational element of Japanese culture. Happy 91st Birthday Mizuki Shigeru! Tosuke Ki was traveling to his estate in Mino province. While crossing the Seta Bridge, he encountered a woman in a kimono, who asked him to deliver a small box to a lady who sat at the bridge in Kara-village. Tosuke agreed, and was warned not to open the box. On his trip, Tosuke forgot about the box, and instead brought it home to Mino and placed it in his storeroom. His wife, jealous in nature, thought it was a gift from a lover, and opened the box secretly. The box was full of gouged-out eyes and penises. Tosuke, being alerted by his wife to the nature of the box, immediately went to Kara-village to deliver it. A man had abandoned his wife of many years for no particular reason. Perhaps he had simply gotten bored of her. In any case, he left his house to go adventuring, leaving the poor woman to waste away and die in their former home. In death, however, the stubborn woman refused to leave, and her bones stayed together, and her long black hair only grew longer. At night, strange lights and sounds would come from the house, prompting neighbors to summon a Master of Divination, to help them. The Master told the villagers that she was waiting for her husband’s return, and that he must come and break her will. As soon as possible, the husband was brought back to the village, and during the day, the husband entered the house and sits astride his wife’s body like a horse, and held onto her hair like reigns. At nightfall, the body came to life, and tried to buck the man off, but he held on tightly and they flew out the window and roughshod over the entire countryside. When dawn finally came, the husband still clung tightly, and the wife’s will was overthrown, and her bones disintegrated to dust, leaving the husband undamaged. A couple of new stories for everyone. 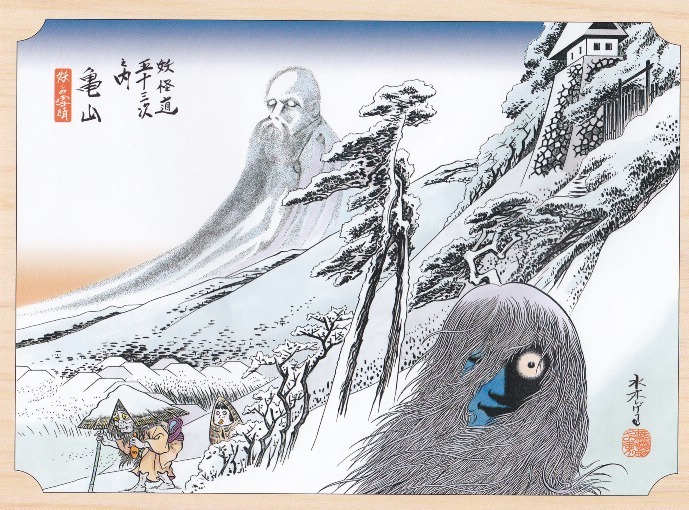 As you noticed, I haven’t posted anything new since my snow yōkai series of December. The reason for that is I have my edited manuscript for my book Yurei: The Japanese Ghost back from my publisher, and I have been busy getting those edits made and doing final adjustments to the book. If all goes well, I will be able to announce a publication date soon! And don’t forget, you can still get copies of my limited edition chapbook The Ghost of Oyuki. I am also busy making final edits to the next volume of Shigeru Mizuki’s Showa 1939-1944: A History of Japan . Drawn and Quarterly posted a preview recently, so take a look! 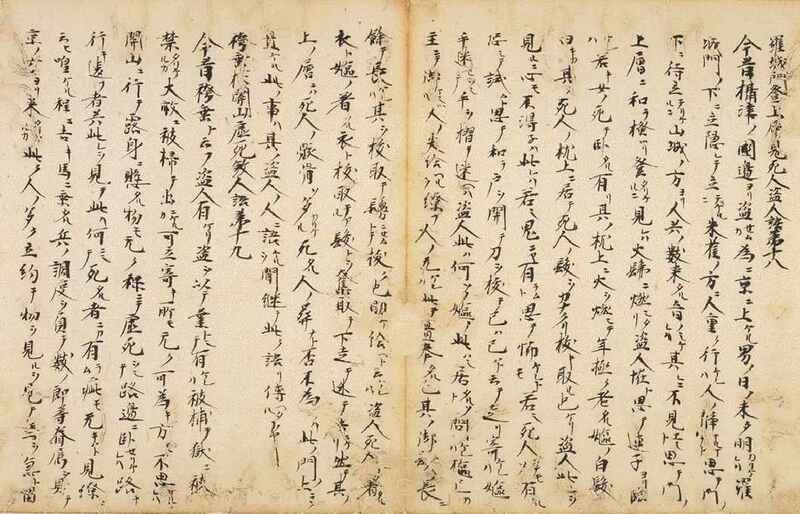 In the meantime, here are a couple of tales from the Konjaku Monogatari to tide you over. I’m especially fond of the first one, as it showed up in an issue of Mike Mignola’s brilliant Hellboy comic, which all lovers of the folklore and weird tales should have in their library! In the frozen north of the Japan, the snow piles deep and high and brings monsters. 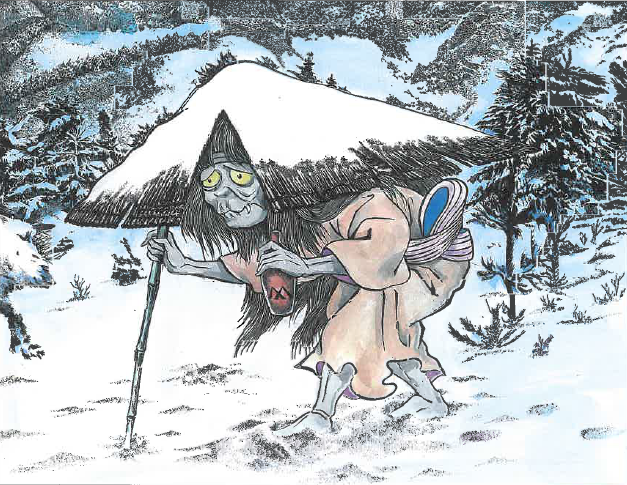 Whether riding on the avalanche, or coming in the guise of a beautiful young woman or a little lost boy, or hoping on one leg, Japan’s snow yokai are as varied and miraculous as any in folklore. Some are dangerous. Some are famous. Some are sad. Some are spectacular. Click Each Title to Read the Full Story of Each Yokai. An old man who rides the avalanche, or an ancient God of Snow? 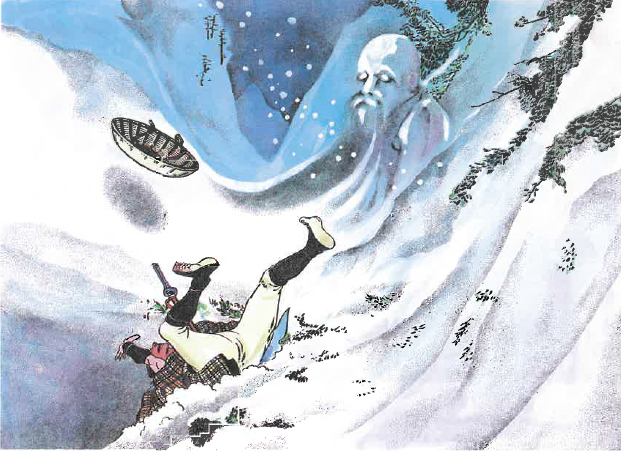 The Yuki Jiji is a mysterious, powerful figure in Japanese folklore. Anytime a solitary woman approaches you and asks you to hold her baby for a few seconds, you are in trouble. This wintery variation on the Ubume legend delivers its own chills. One is cute and sweet—the answer to a childless couples prayers—and the other is a bizarre creature out of your nightmares. Nothing ambiguous here. The Yukinba and Yukifuriba are terrifying creatures out for blood. 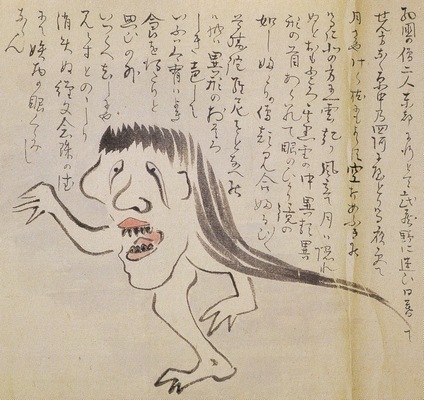 The most horrifying of Japan’s snow yokai. Does she come to love you, or eat you? The Tsurara Onna goes both ways, and you are never sure just which one is going to come to your door. 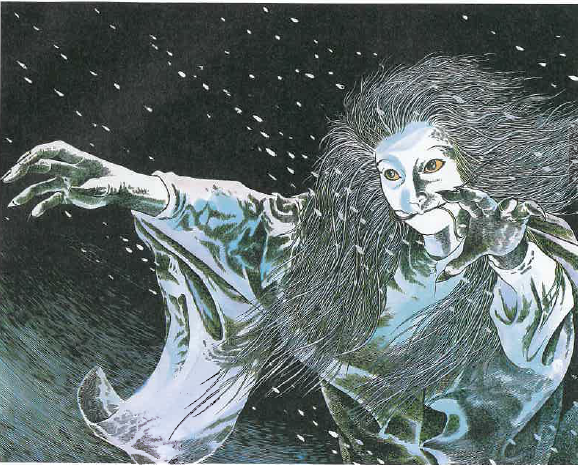 Another oddity of Japanese folklore—is the Oshiroi Baba a dangerous snow hag, or some long-forgotten Goddess of Cosmetics? 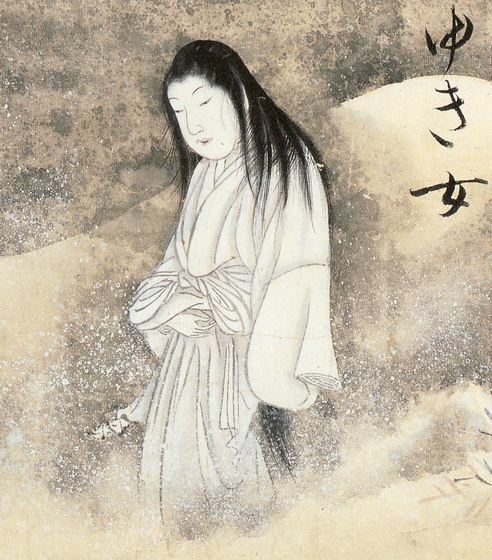 By far the most famous of Japan’s snow monsters, the Yuki Onna is an enigma. There are thousands of stories about her, with thousands of variations. Which one is true?